Are you IN for Bakerzin’s New Menu? 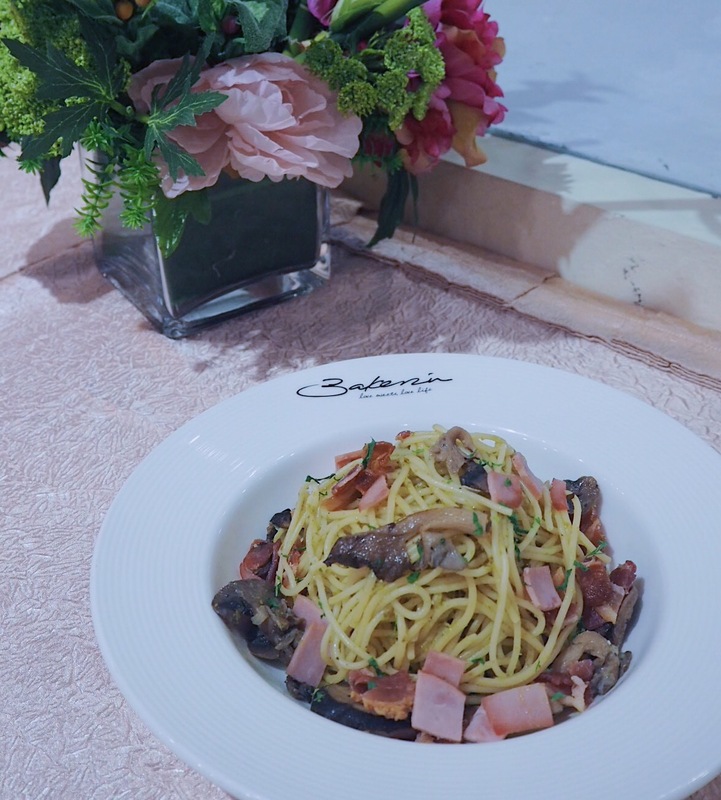 Bakerzin is a family-friendly restaurant which is also a fond favourite with the younger ones for their array of freshly-baked pattiseries and savouries. I was first exposed to the restaurant in 2011 when molten chocolate lava cake started their journey of fame. Till today, Their molten chocolate lava cake is still rank highly on my food wall of fame. Since this is not the focus for today, i shall not dwell into it. If you haven’t try this classic dessert, go now! 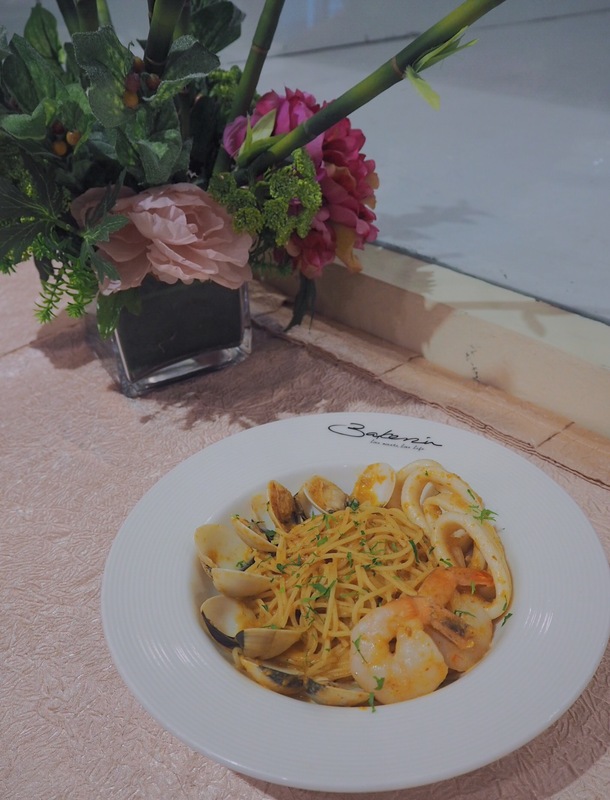 With outlets in Singapore and Indonesia, Bakerzin recently open its newest outlet at Tai Seng. Those working in the area will be happy to know that they have launched their brand new menu items and they are open everyday! 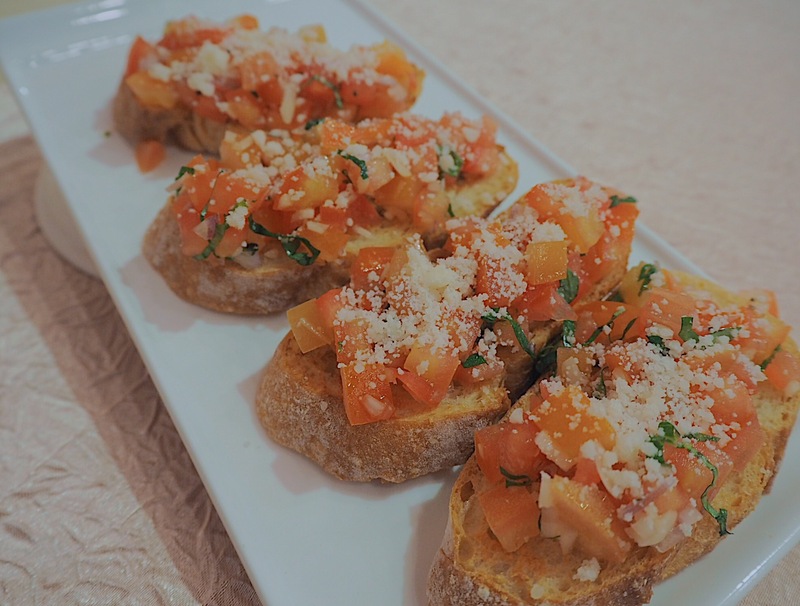 Tomato Basil Bruchetta might sound pretty average but the European-style bread and fresh tomato makes this a pleasure to kickstart your meal with. The sliced baguette is toasted till crispy and not too tough unlike some which tears ur teeth apart when you bite it. 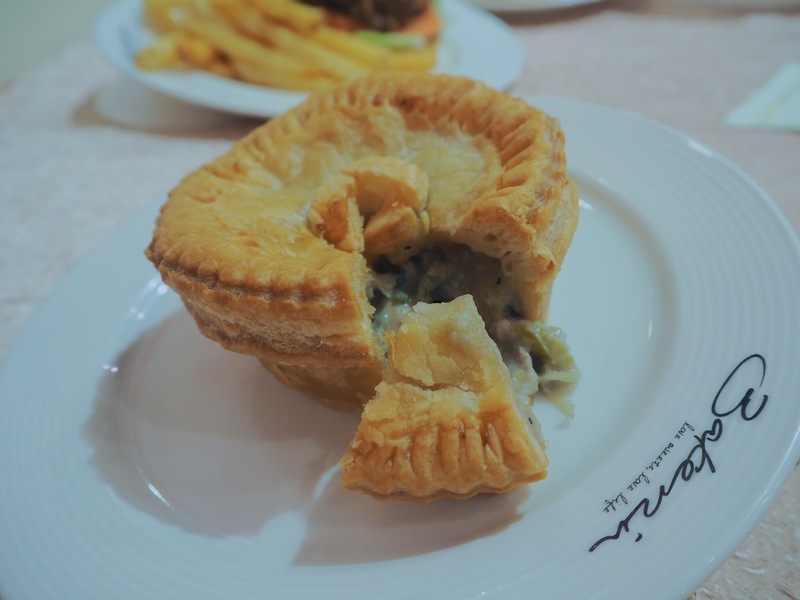 The Creamy Chicken Pie had me blown away with its light-crusted shell and chunky chicken tenders. The cream base that came with a dash of pepper was not ‘jelat’ and does not make you feel too full to still have your mains thereafter. Still, i recommend that this be shared with your friends or family so that you can save some stomach for others coming up shortly! Next up, my favourite of the night, Chiczella. For those who recall, KFC had a Chizza two years ago. That was a disappointment because the ads raised the expectations way too high. Bakerzin’s Chiczella, however, was a babe to have. 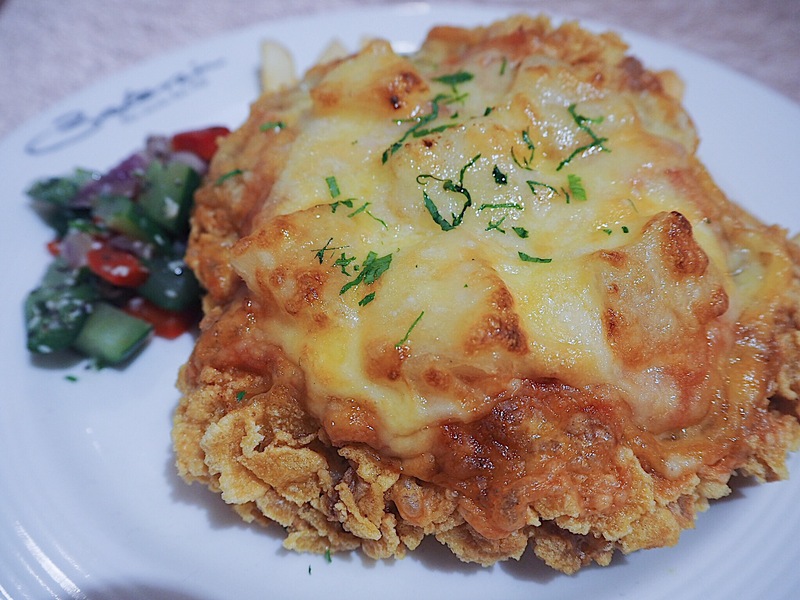 I was in love with the thick layer of cheese that wrapped around the crispy fried chicken and those juicy pineapple slices that gave it the extra kick. Sinful but totally worth the additional trip to the gym! It is rare to find curry chicken to taste like home but Bakerzin does it pretty close to what I’m used to. 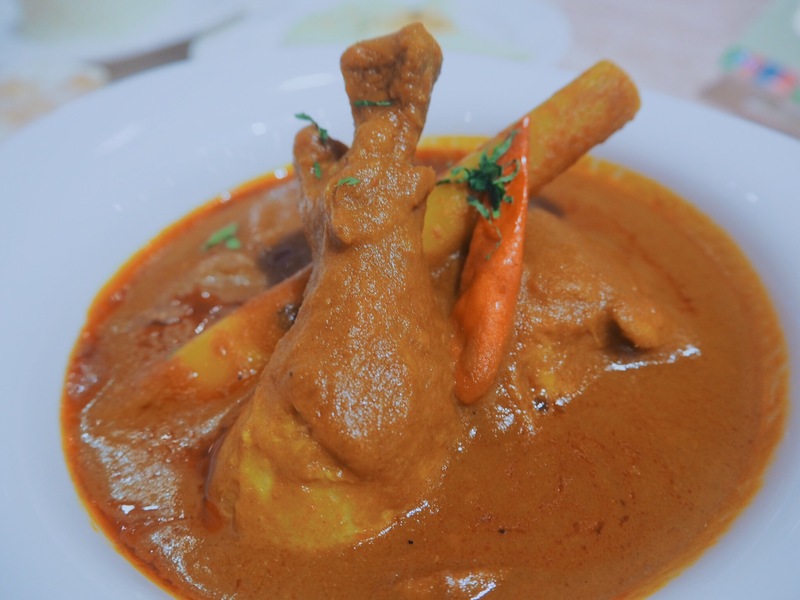 The gravy was thick and bursting with, if I’m not wrong, Indian curry spices. Finally, the spiciness level? A little more than the usual ones you find in a modern restaurant that serves mostly western cuisine. But that means it’s good right? Presenting, the Mum’s Curry Chicken. 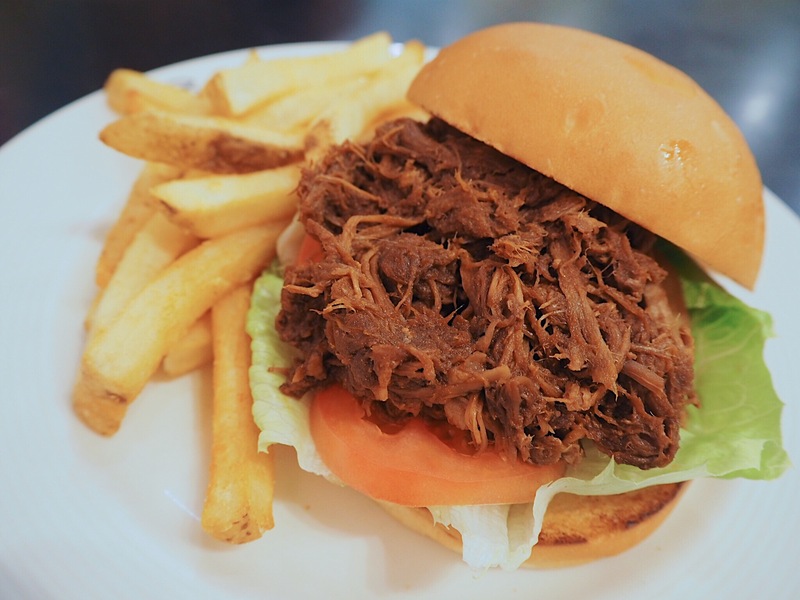 Coffee Pulled Pork Burger is truly hard to master. Bakerzin’s version came with a twist of coffee and got me excited to sink my mouth into the burger. The pulled pork was a tad disappointing as it turned out dry with hardly any taste of coffee. Luckily, the thick-cut fries on the side saved the day. Amongst the two pastas that I tried, my vote goes to Ham Bacon and Mushroom with Pesto simply because the Seafood Laksa Cream Pasta failed to impress me with its diluted creamed Laksa base. The level of spiciness could have went up a few notches to make this a legit Laksa pasta. The spaghetti noodles were also a little hard for my liking while the pesto pasta could do with more pesto as I almost thought it was an alio olio rendition. 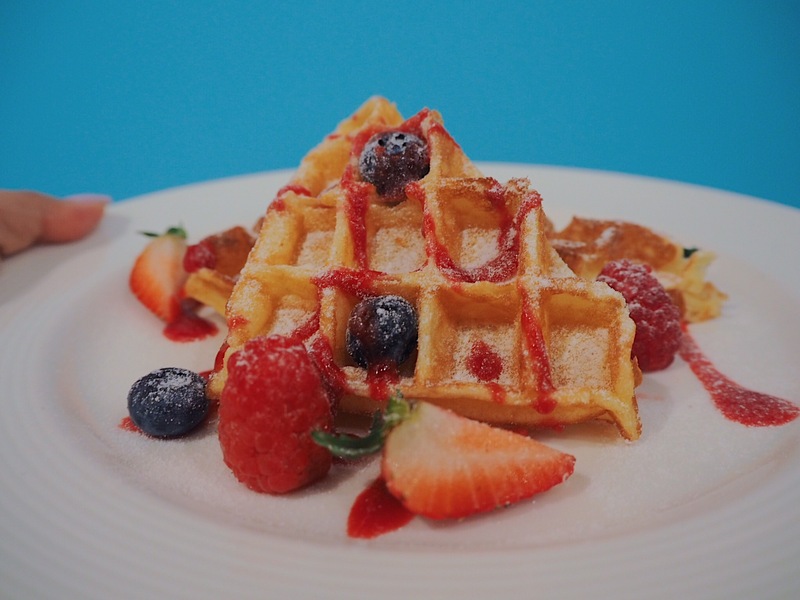 Those with sweet tooth would love the French Waffle served with Vanilla Ice Cream and a dash of. strawberry syrup. The waffles are lightly crisp and the batter isn’t too sweet which is great because you don’t wanna have too heavy desserts after the mains. I thought the strawberry syrup could be better if it’s made from fresh strawberries although the mixed fresh fruits does the grace. My favourite dessert of the night went to the Mousse Chendol Cake which is masterpiece in conjunction with Singapore’s 52nd birthday. The rich buttery taste from the Gula Melaka, bits of red bean and attap seed just shows how much thought was put into this cake. The layers of pandan cake and mousse then finally the chendol jelly was indeed a brilliant pairing. 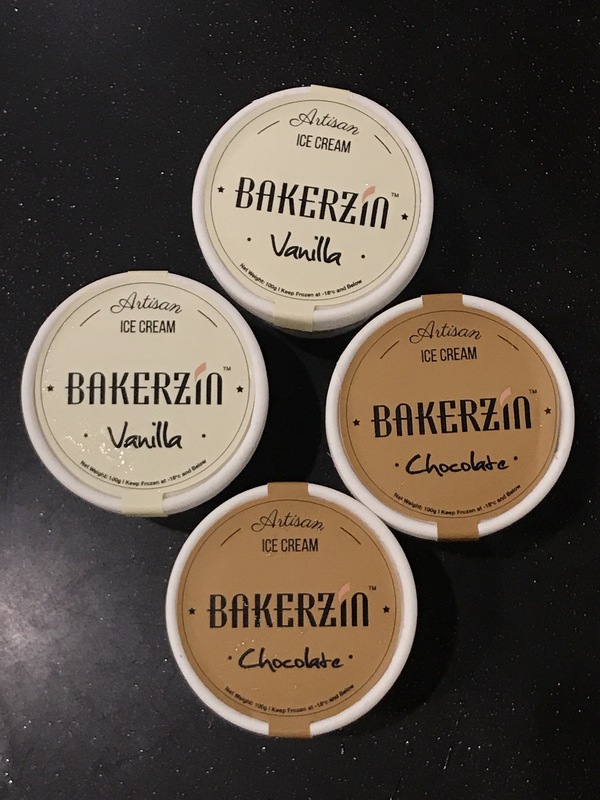 Artisanal ice cream is a new creation by the folks behind Bakerzin. Had a try at their Chocolate and Vanilla flavoured ones which were pretty sweet in my opinion. Richness wise, the chocolate flavour wins hands down but the vanilla flavour is probably the more authentic one especially with vanilla beans visibly in the ice cream. I’d say they should focus on their patisseries and I’m looking forward to more cakes and pastries in their menu! Bring your family and friends and come on down to any Bakerzin outlets for a taste of their new menu! 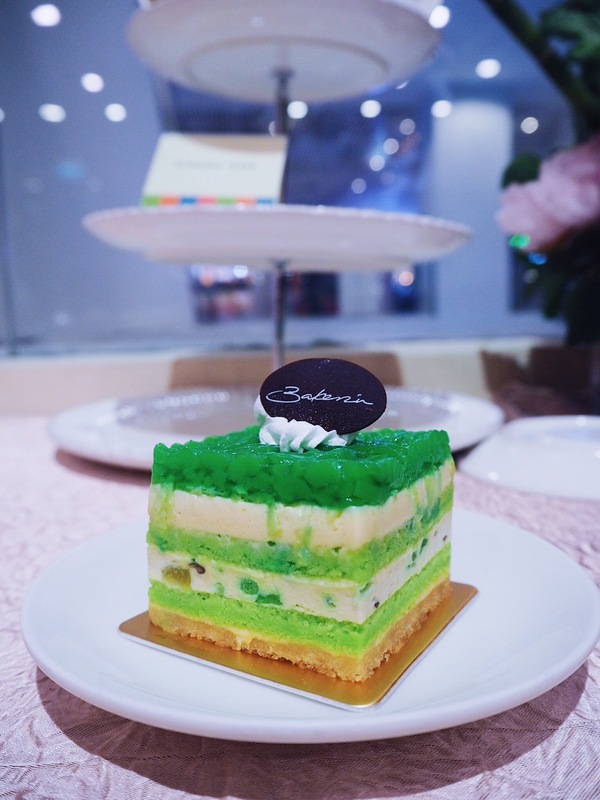 Buy 2 whole Chendol Mousse Cakes at $52 (u.p. $70), up to 25%! If you like to have a tea break with your girlies and besties, order 2 slices for just $5.20 (u.p. $7). For a limited time only!